Almonds– one of the healthiest foods on the planet. High in mono-unsaturated fat, almonds actually lower the risk of weight gain, offers protection against diabetes, heart disease and also decreases HDL (source: here) It is a wonderful source of micro-nutrients magnesium, copper, phosphorous, vitamin B2 and biotin. We love toasted almonds! I always get some slivered almonds from the store to use in oatmeal breakfast, cereal or just as plain snack. But it is just so much fresher and cheaper when toasted nuts are made at home! This way, I can make sure that the almonds are “activated” meaning the enzymes in the nuts that inhibit digestion are removed by soaking and that we eat it in the most nutritious form. 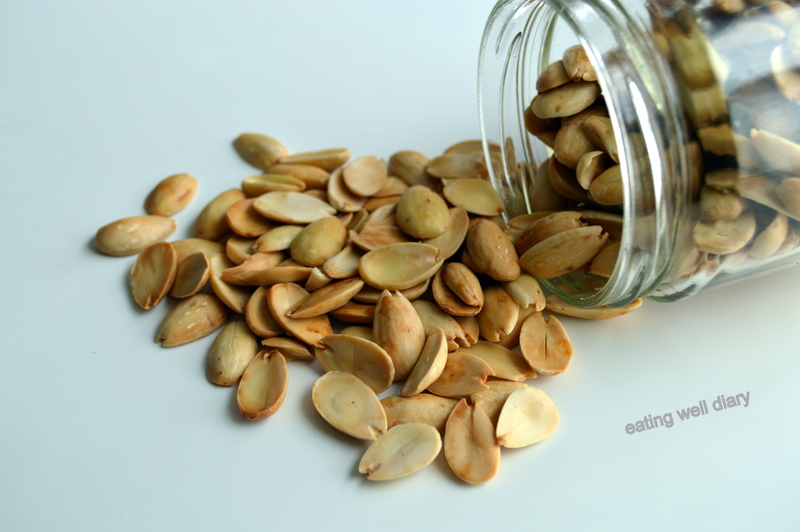 While making almond milk too, I have started to use peeled almonds after discovering this easy method to do it! 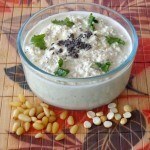 A super simple recipe, yet, something that has versatile uses. 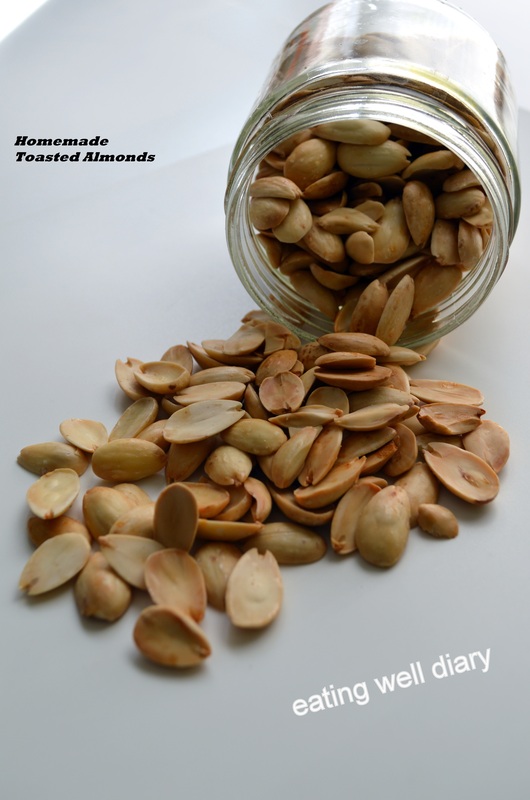 Here’s the EASIEST way to make toasted almonds at home, a very healthy snack or a crunchy addition to any dish. 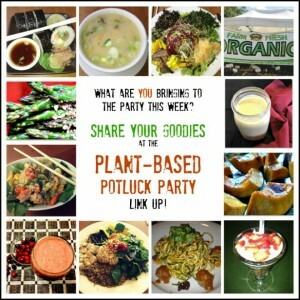 Sharing this Meatless Monday tagged post at Angie’s party, Fiesta Friday #63 co-hosted by Julianna and Hilda. Also sharing at the vegan link up #40 at Deborah’s Urban Naturale. 1. Soak almonds in water overnight or at least 8 hours. 2. Drain water. 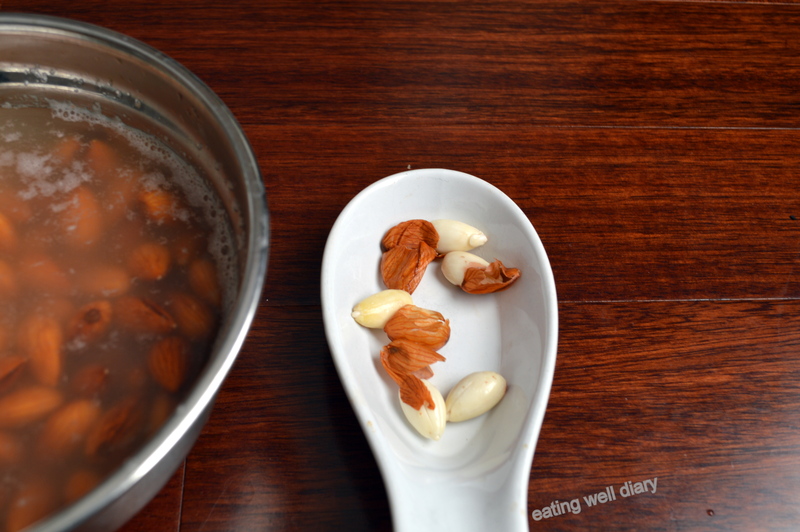 Add fresh boiling water to the soaked almonds and let it sit for 10 minutes or till the water is warm to touch. 3. Now the almonds can be peeled easily. 4. 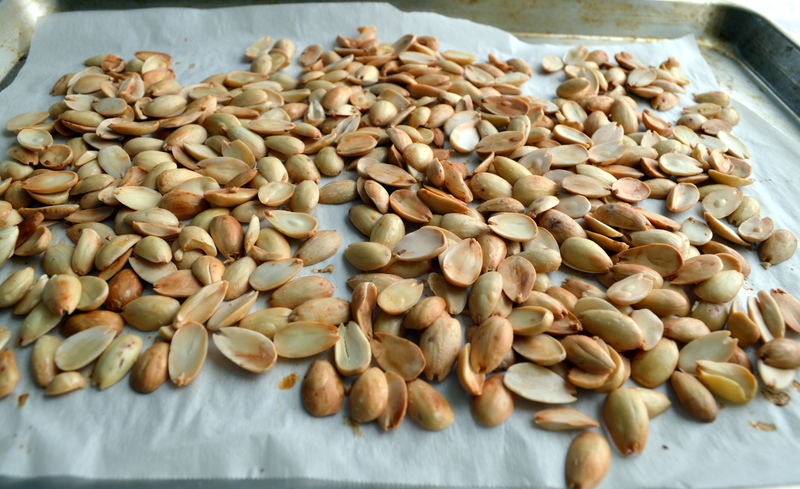 Collect the peeled almonds and halve them with hands, which is easy to do when it is still wet. 5. Preheat oven to 375 °F. 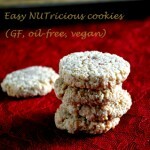 Arrange on an aluminum baking sheet lined with parchment paper. 6. Bake for 30-40 minutes. 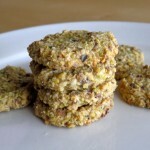 Shake the almonds to rearrange once or twice during the baking process, to ensure that they are toasted evenly. 7. Allow to cool and store in an airtight jar. 1. Baking time will be less if a non-stick baking sheet is used. 2. Care has to be taken not to burn the almonds. Oooh, that’s how you remove the skins. 😀 Brilliant! We two have started taking soaked and peeled almonds recently. Nothing like freshly roasted nuts to snack on, not to mention all the ways they can be used in salads etc. A great treat for all the FF crowd. Very glad you like it, Hilda. Yes, it sure has versatile uses! Thanks, Vidya. Honey-glazing is something I need to try too! I love the crunch of toasted almonds too. What a healthy snack. Thank you for stopping by my blog. You have an awesome blog! I am so delighted that you shared your healthy and delectable homemade toasted almonds with us on the Plant-based Potluck Party. I appreciate it. I’m pinning and sharing.